A traffic cone is the paper clip or rubber band of the traffic safety industry. It is a simple product with an abundance of uses and applications. Commonly used on the roads to direct traffic or mark hazards. They are also used indoors to block off entrances or keep people out of areas under construction. 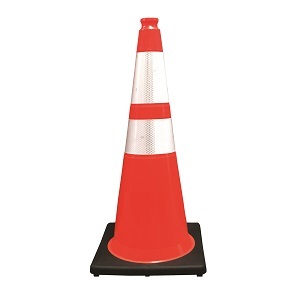 Cones are used to direct crowds of people at events, as temporary sign stands, or they can be used during exercise drills and during driver license exams. The list goes on, and as people have discovered new uses for them, they have also developed some accessories to further legitimize their significance. 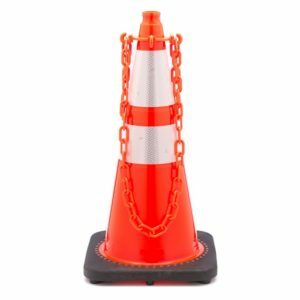 The Traffic Cone Chain Connector can be placed over the top of each cone, allowing for plastic chains to create a quick and cheap barrier. This application is ideal for parking lots and crowd control. 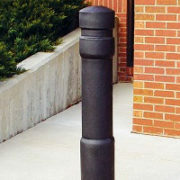 The Retractable Cone Topper can be mounted on taller cones to create a barrier most commonly used to direct lines of people. 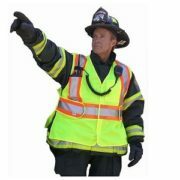 The reflectivity of cones and this accessory make them ideal for situations that call for high visibility. T-CAPs are a great way to support caution tape, rather than using random objects and items. 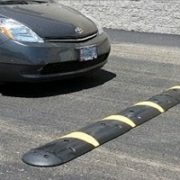 The control assist product allows users to slip the tape in a slit that is mounted over the cone, making it easy to use caution tape safely and effectively. 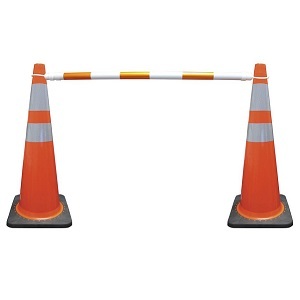 Retractable Cone Bars is a popular accessory that connects two cones with PVC piping, creating a quick and highly visible barrier for construction, pedestrian walkways or parking lots. 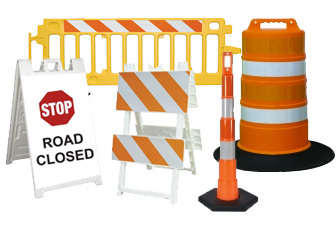 These bars can be used with most traffic cones and stretch from 4 to 7 ft.
Traffic Cone Signs turn any cone into a light-weight sign that is easy to see and move. The signs slip into the top of the cone and lock into place. Cone Brackets for Barricade Lights are an easy way to make use of any extra barricade lights. The product easily fits over the top of the cone, allowing for simple mounting. If you’re looking for an actual light, the UniLamp is a practical solution. The 360 degree computer designed high clarity poly-carbonate lens comes in amber or red, and also slips easily over the top of your cones. Popular among utility workers, Truck Cone Holders are used to firmly stack cones in place without having to worry about moving around the vehicle. Simply bolt it onto your truck and stack away! Traffic Cone Carts are another way to easily transport your cones within shorter distances. Finally, Traffic Cone Weights can be used to help stabilize cones in high speed or windy areas. 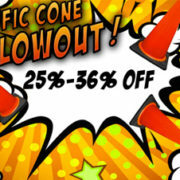 They are made from 100% recycled rubber and easily slip over the cone, resting on the base. Type I Barricade: Has reflective sheeting on the upper half of the barricade, and not the lower. They are ideal for pedestrian traffic and other types of control where maximum reflective sheeting is not needed. Since reflective sheeting can be the most expensive part of the barricades, Type I barricades tend to have a lower price. 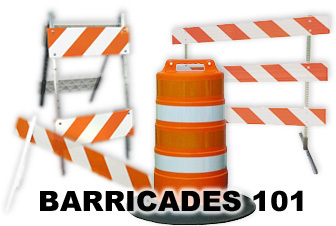 Type II Barricade: Has reflective sheeting on the upper and lower boards of the barricade. They are most often used on roads that have detours or closings, as well as other types of control that require maximum reflective sheeting. Type II’s are smaller than Type III’s, making them ideal in situations with limited space. Type III Barricade: Has three reflective boards, all with sheeting. They are able to block entire lanes of traffic, making them ideal for road closers or detours. Although they may be tricky to store due to their size, there are collapsible options available with 4’,6’,8’ and 10’ boards. Other types of products used for traffic and crowd control are: A-Frame Barricades, Concrete Barriers, Safety Barricades, Steel Barricades and Water Filled Barricades. Make sure to fully understand the proper application before purchasing and using each product. When choosing between barricades, you generally have two options with the make: plastic barricades or steel legs with plastic boards. Plastic Barricades: Economical, strong and stack-able. The legs and board are molded into one piece, it never rusts or needs painting, and the legs never need straightening. Steel Legs: Boards can be replaced and legs can be repaired. Steel is strong and dense, wont warp. Depending on your state codes, particular sheeting may be required on your barricades. Engineering Grade (EG): The least effective sheeting, used in less serious situations. It has the lowest shelf life and can be difficult to remove once applied with adhesives. 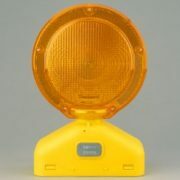 High Intensity Prismatic (HIP): More reflective and effective than EG, often times used on standard road signs as well as traffic safety devices. It is reflective during the day and at night, and protects against scratches and other forms of tear. Although HIP sheeting is not as effective as Diamond Grade, the difference in price is appealing. Diamond Grade (DG): The most reflective sheeting, required in many states for most applications. It can be seen from greater distances and is superior to its alternatives in every category besides price. Still, when it comes to traffic and pedestrian safety, price becomes of less importance. 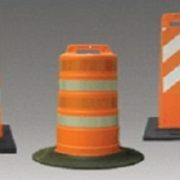 Orange and white stripes are used in almost every circumstance, however red and white stripes may be used at the dead end of roads or where permanent closings are marked. Our barricades are sheeted to have both right and left facing sheeting on opposite sides. Right Barricade: placed on the right side of the road, as traffic passes to its left. The orange and white sheeting should be sloping downwards from right to left. Left Barricade: placed on the left side of the road, as traffic passes to its right. The orange and white sheeting should be slopping downwards from left to right. Breaking ground for construction, farming, or any other reason requires ensuring you’re not damaging any existing infrastructure. Taking that extra step can prevent serious damage below ground that can sometimes be irreversible or unfixable. You are also putting yourself and others at risk without fully understanding the underground landscape and the implications of digging into it. The first step you must take before breaking ground is to call your local “One Call” shop where you can get all the information you need on the underground systems already in place. Before beginning any excavation, it is required that the area is properly marked above ground. Those markings are usually in the form of small colored utility flags or posts, with paint, chalk, tape or even wax lines made between the markings. 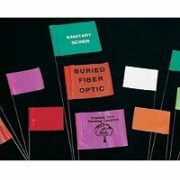 Generally, flags mark larger systems like multiple ducts or large pipes and posts mark smaller pipes and cables. Still, make sure to check your local code to ensure proper usage. In an attempt to better educate the public, the government funded American Public Works Association (APWA) has shared a color code for utility markings on their website. Finally, correctly marking an area is as important as understanding the markings, and it never hurts to double check. If you do come across an unmarked structure, it is important to fully understand it before continuing your project. Take the extra time to reach out and use the resources at your disposal to ensure that you’ve covered every precaution. Every state has their own regulatory traffic code, and within it are the minimum standards that must be met. If your state outlines the need for lighting on particular traffic safety devices, then it will likely outline the minimum requirements that the light has to meet. If your state does not outline any need for lights, consider the importance and impact they serve. As a consumer you have four different types of barricade lights to choose from. Lights can vary by intensity, visibility and application. It is critical to match the right light with the reason for their presence. Type A lights are low-intensity and flashing from both sides. They are used to mark hazards and closures; warning traffic rather than guiding it. Type A lights can be seen at night, but are not permitted for use during the day. Type B lights are high intensity and flashing from one side. They usually have a back and hood that allow all of the light to be angled in one direction. The applications are similar to Type A, however Type B lights mean that they can be seen during the day. This means that they are usually, although not always, LEDs. Type C lights do not flash, but burn steadily. They are used to alert drivers of the traffic devices rather than to warn them of the hazards beyond the devices. Type C lights can be seen guiding traffic through poorly lit construction zones. Some lights have the option to flash or burn, making them Type A/C or Type B/C, depending on their intensity. Type D lights have 360 degrees of visibility, so that users do not have to worry about aligning each light. Type D lights many be flashing or steady burn, with many having the option for both. Like ceiling lights, barricade light bulbs can either be incandescent or LED. The difference is that LED’s use far less power to produce the same light that incandescent bulbs do, or produce far more light using the same amount of power. Therefore LED’s will last longer and are capable of producing more light; not to mention less waste is better for the environment. LEDs are more expensive per unit, however the shelf life of an LED compared to an incandescent light typically makes them cheaper overtime. A third option for powering your barricade lights is solar. Some lights come with solar powered panels that completely recharge a battery, and some with solar assist, trickle charging the batteries and prolonging their life. Like LED’s, the solar powered units are more expensive, but the extra power can cut down costs overtime. When it comes to batteries, it varies from manufacturer to manufacturer. Most lights are battery powered by lantern batteries or cell batteries. Some are powered by Nimh batteries, alkaline batteries, lithium-ion batteries or rechargeable batteries. Typical traffic devices use the amber colored lights, however there are many uses for red, blue and other colored lights. Red and blue lights can be found at airports or near railroads, and typically have more intensity than an amber light does. At the end of the day, there is no price on safety, and we want to make sure we get the best use of our traffic safety devices. Adding a barricade light to enhance the visibility of your device, or to warn drivers of the hazards beyond them, can make the difference that an unlighted device won’t. With the appropriate light attached to your device, we can guide ourselves into a safer future.